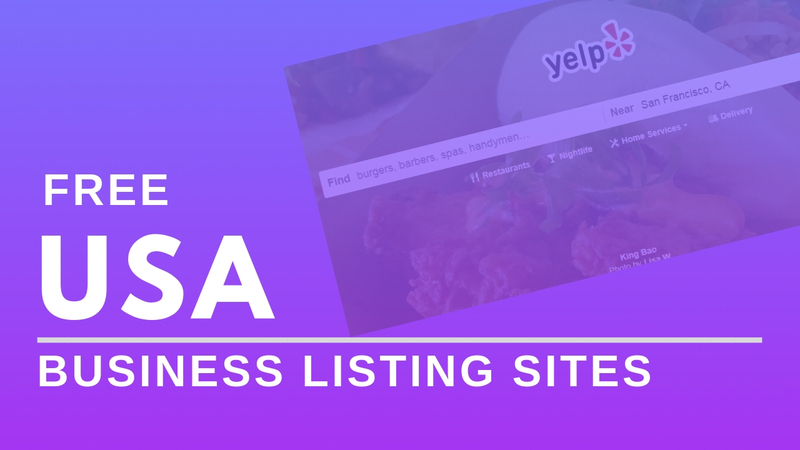 Hello friend, here is a collection of USA business listing sites for 2019. These sites are certain to improve your local ranking. Having your business listed on any of these directory websites will really help search engine. Show your website on front page when someone search for your kind of business offer. All the sites listed here are free. You don’t have to pay. All you just need to do is register and submit your business details. We took our time to bring out the best USA business directory sites just for you. You will surely get high Domain Authority backlinks with these sites. If you like my list then sure give me feedback and comment below. and also share your best sites not added yet in this list. Local USA citation sites help to rank in USA search engine ranking. More visibility on Search result and also Reference from top Business directory sites. Local search and ranking boost your brand value online. Customer attract with your brand and Choose always your products and services. Local listing is most important for target local search engine. Without local listing not possible to target local market or ranking on local search query.